يقع Crowne Plaza قبالة شاطئ تريغال على ساحل نيو ساوث ويلز سنترال، ويقدم أماكن إقامة على واجهة المحيط، بالإضافة إلى مطعمين وبارين ومركز للياقة البدنية ومسبح بمياه ساخنة في الهواء الطلق وسبا نهاري. تحتوي جميع الغرف الحديثة المجددة على تلفزيون إل سي دي مع قنوات كابل مختارة وأفلام حسب الطلب وتكييف وتدفئة ومساحة عمل مصممة بشكل مريح وحمام داخلي فاخر. ويطل العديد من الغرف على شاطئ تريغال. يمكنك الاستمتاع بالمأكولات البحرية الطازجة والمنتجات المحلية في مطعم Seasalt؛ والاسترخاء مع تناول الكوكتيلات أو النبيذ أو البيرة في صالة Lord Ashley؛ وكذلك الاستمتاع بتناول الطعام في الهواء الطلق في بار فلوريدا بيتش الحيوي؛ أو تذوق خيارات الطعام في الغرف. يمكنك الحفاظ على نشاطك في مركز اللياقة البدنية في الموقع، حيث يتوفر مسبح بمياه ساخنة في الهواء الطلق، أو الاسترخاء مع المساج والعلاج في سبا Endota Day. ويعمل نادي الأطفال خلال العطل المدرسية. يقع Crowne Plaza Hotel Terrigal على مسافة دقيقتين فقط سيرًا على الأقدام من أفضل المحلات التجارية والمطاعم في تريغال. ويمكنك اكتشاف نمط الحياة المثالي ووسائل الراحة العالمية على مسافة 90 دقيقة فقط بالسيارة من سيدني. يُرجى الملاحظة أنه يتم احتساب تكلفة إضافية بنسبة 1.5٪ عند الدفع بواسطة بطاقة الائتمان. 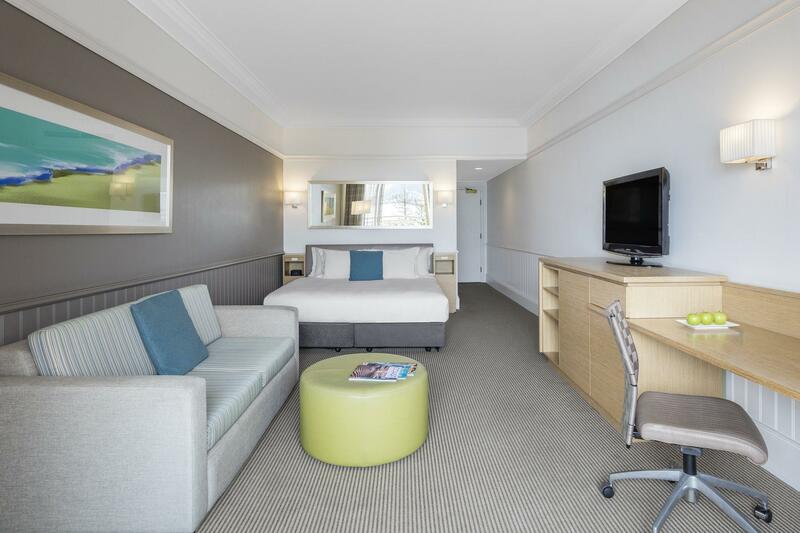 crown plaza terrigal is situated in a superb location, just beside the sea. the sea breeze and the sound of waves is music to the ears. the facilities are superb with hot tub, heated pool, gym, etc. one area which i was not entirely pleased was the fact that i was told parking was free for guests upon check in but was charged aud 20 when i checked out. otherwise, a very pleasant stay. 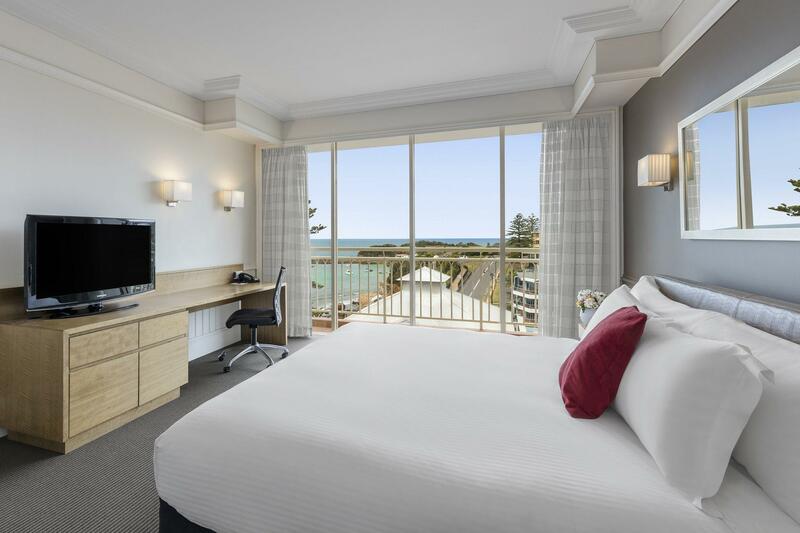 We mainly travel around Asia for holidays but absolutely loved the Crowne Plaza Terrigal! Great staff, excellent kids club, fast check in, lovely bed & sheets, quiet room. Pool small but nice. Great spa. So close to beach, restaurants and shops. All in all, we thought it was great value for money! Would definitely stay again and highly recommend. Came to Terrigal to meet friends and pretty much had everything out our door. The hotel has all the usual stuff, but the location across the road from the beach and smack bang in the middle of town is unbeatable. With a great bar downstairs with good food and live music we didn't stray further than a block from the hotel during our whole trip. Would stay here again next time I come to Terrigal. I was only meant to be in Terrigal for the day. My meeting went a bit longer then I thought and after the great service we got throughout our lunch meeting I decided to stay the night. Check in was a bit slow but once that was sorted everything was fine. The room large and clean, a good size desk to get some work done, uncover car park with a charge $18.00 per night, I don't get that but they all do it. It was a week night I was there so town was quite, but I can see that the weekends would be very different. Beach across the road, would be a great location for a beach holiday with the kids. We arrived at Hotel at arranged time. Reception staff we obliging and prepared. The room and bed were well appointed and large. Bathroom was clean with bits and pieces except shower over bath which maybe a problem for older people but shower worked well. Car parking was available for a fee and lift available to floor. Hotel is close to shopping area with restaurants of many types. Restaurants available in hotel as ell as room service 24/7. Buffet Breakfast was comprehensive, service was great, food hot and cooked well. Checkout was simple. We will definately return. Great hotel however the view from our room was the only thing that let us down. Our view consisted of a concrete slab and pine trees. Only a slight glimpse of the ocean was able to be seen from our balcony. Otherwise everything else was great. a bit wear out but in the centre of North Avoca spacy room by the sea & restaurants around. Loved the facilities,the locations and it was quite clean. Loved the poolside restaurant, great service. Would be even better with a pool feature for the kids and may need an upgrade to bathrooms. Overall, relaxing holiday which we enjoyed very much. 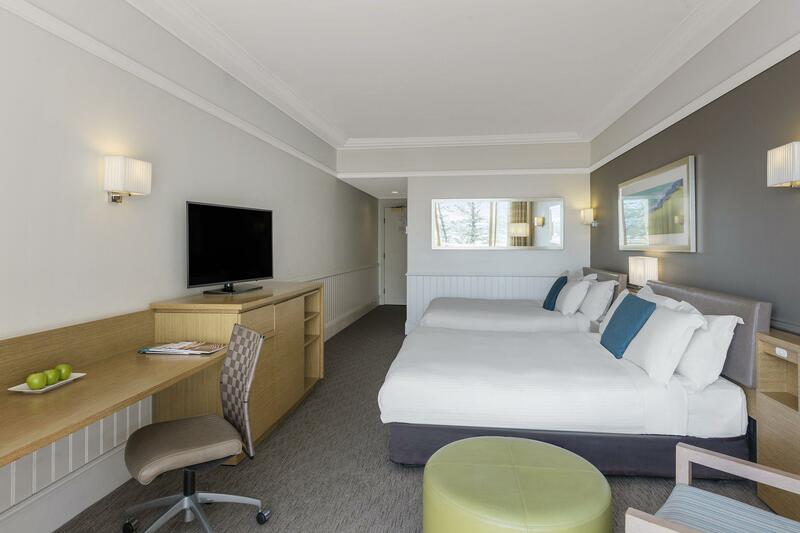 Booked 2 spacious Ocean View rooms for a family celebration. This excellent Hotel is in a wonderful location. The buffet breakfast is amazing... friendly staff & great facilities add to the appeal. It ticked all the boxes for our short break!! Grandparents with grandchildren travelling overnight. Thought 2 queen beds with a 6 and 3 yr old would be trouble...and it was! Had to separate them at 9.30 or they would have been awake all night. But hey it was holidays and the hotel was lovely, view, staff, clean, walk to wherever. We will go again, maybe a quiet weekend just for 2!!! Stayed on the Saturday and had a fantastic night away! Sian at the front desk was phenomenal at assisting us surprise our mother with the weekend away. Room was excellent, great views!! Incredible beds and pillows Excellent assortment of food offered at buffet breakfast however my only complaint is that it's not replaced enough so some were cold and the staff in the breakfast restaurant left little to be desired. We used to live on the Central Coast and stay at the Crowne Plaza for special weekends away. Now when we visit we still stay at the Crowne Plaza as it remains one of our absolute favourite hotels anywhere. Crackling log fires in the Lord Ashleigh Lounge in winter, fabulous spa and pool, wonderful food, 5 star service, and the most awesome views of Terrigal Beach and The Haven. There is nothing this hotel lacks. We will return again and again. Spent a great weekend with my children at Crowne Plaza Terrigal. Great location close restaurants and large number of small shops. Not too far from all important tourist spots in the central coast. Highly recommend. Our stay was fine. The room was very comfortable and had everything that one would expect in a good hotel. I was surprised by the sound buffering provided in the room. We were close to the pool and bar, the latter which rocked on until midnight, but this did not disturb us. We found the staff very friendly and efficient. Breakfast was the only meal we had there. The food very good, freshly cooked and I cannot complain about the staff, who were run off their feet. I expect the fact that the hotel was booked to capacity that the breakfast/dinning room had difficulty in coping with most of them turning up all at once.